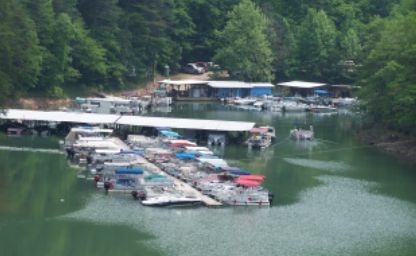 Located in Swain County NC, Alarka Boat Dock is a one stop source for boat/pontoon put-in, Fontana Lake History Tours, Fishing Guides, and Boat or Pontoon Rentals. Dock—Slips Available for Boats and Pontoon Storage. Fishing Supplies, Ice, Bait, Snacks, Gas and Oil, T-shirt and Caps, also Boat Supplies. Lake Fishing and Trout Stream Guides Available upon request.